What to do if Involved in a Bus Accident? A Bus accident can be a significant daily threat to citizens and residents of Southern California. This is true whether it is operated by the public or by a private enterprise. Why? Because in either case, it is a large, heavy piece of machinery typically difficult to operate in pedestrian and traffic ridden areas. This means a there is a high probability of Bus accident injury. To make matters worse, they usually carry large numbers of people. To protect oneself against the dangers of these automobiles, first consider the liability rules and then some scenarios giving rise to crashes. Bus Accidents happen for all sorts of reasons. Common to most of those reasons is negligence. Negligence is a legal term used to describe an act or set of acts which fall below the standard that society expects people to maintain when conducting themselves. When a person breaks the Motor Vehicle Code, they are said to be negligent per se for breaking the law. Therefore, the Motor Vehicle Code is a good set of parameters that define what society believes to be acceptable and unacceptable driving behavior on the roadways. In addition to the Code, the courts enforce a more intricate set of less easily defined negligence known as common law. These may make another person negligent even where they are not breaking the law. Regardless of the source, where someone's negligence causes damages to someone else, a lawsuit is a viable option. Here are some common different ways buses causes crashes and injuries. Bus v. Pedestrian. This occurs when the bus line operates into someone walking, running, skateboarding, rollerblading, or riding a bicycle. If the pedestrian did something to create the circumstances that gave rise to the collision, they could be held partially liable for their own damages. vs. Auto/Car/Truck/Van. Arising when the two collide, the driver of the car or motorcycle usually takes a pretty nasty hit that can result in serious and catastrophic consequences. It is often due to a blind spot or inability to slow down when it is caused by the buss. versus Passenger. In these instances it is the passengers themselves who fall victim to either the driver or another operators negligent act. If you have fallen or been thrown, there is likely a viable lawsuit. Broken Bones/Ligament and Tendon Tears. 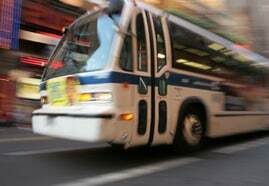 These are typical types of bodily harm associated with a fall or being thrown while on public and private transit. Seek emergency attention by calling 911. Contusions, Cuts, Scrapes, Bleeding. Taking pictures is important. Concussion; Traumatic Brain Injury. Seek cognitive testing and neurological evaluation. Spinal Disc Herniation of the Cervical & Lumbar Areas. Chiropractic and orthopedic surgeons are a good idea to consult with. Whiplash/Headaches/Nerve Syndrome. For many the problem of whiplash occurs, leading to central nervous system damage that can include headaches and paralysis of limbs. Amputations. Fingers, Legs, Arms, mutilated and mangled necessitating amputation at hospital or emergency room. Busing people is a risky business that creates damages into the billions of dollars as well as immense pain and suffering. Public and commercial operators must have the ability to pay claims made against them for personal and property damage. The California government defines and enforces insurance requirements to transporting passengers for commute or pleasure, or both. Making sure that private commercial operators carry the appropriate insurance in place is very important. 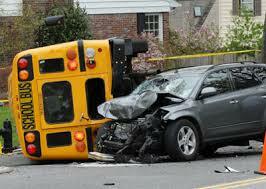 If you, a family member or friend have been involved in a Bus accident. 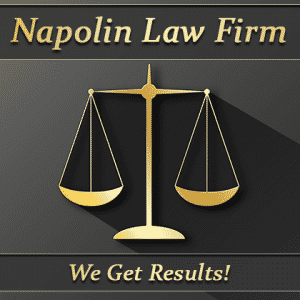 Please contact our law offices. Call Now: (909) 325-6032.